Get Connected in real time with customers and prospects, across all channels with ABIT CORP Enquiry Management Software. From email to phone, live chat, and even social media. our system notifies you when a hot prospect is browsing your site, reading your email campaign, or engaging with your brand on social media.The more your business grows, the more you need to know. 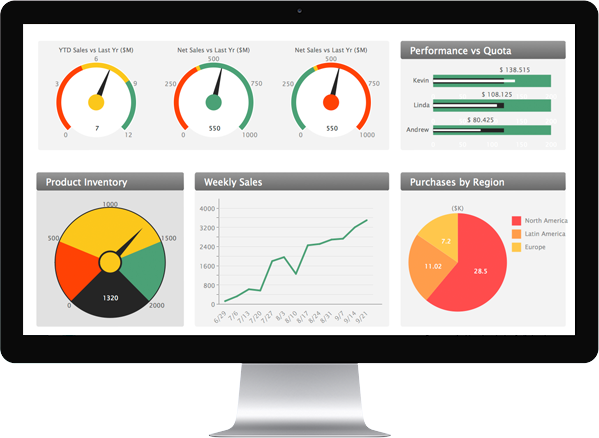 Measure the performance of every sales activity, and break up quotas into achievable targets with ABIT CORP EMS reports, analytics, and forecasts. Since competition has increased and today’s customers are more informed and have higher expectations than ever before.Buy our EMS to get connected with your customers followups,enabling you to better understand customer needs, engage more effectively, and win more deals. Collection of data from various sources like Indiamart,Justdial,Craiglist & other buiness directories can be saved in our system.So in near future you can offer new products which are coming.Lead database will make a record of companies & can be filtered to get particular industry data. 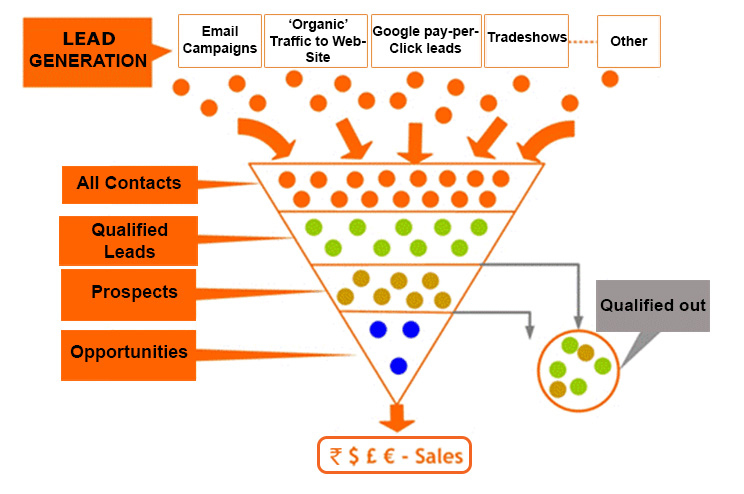 When leads allocated to any sales person then it became opportunity for them.So leads are converting into opportunities. Some buy products on the spot other takes time to decide so we have a follow up system to follow them on particular date. Oportunities can ask for quotation or estimation so that they can take decision we have negotiated quotation option also and after confirmation our system will create purchase order of the finalized quotation. 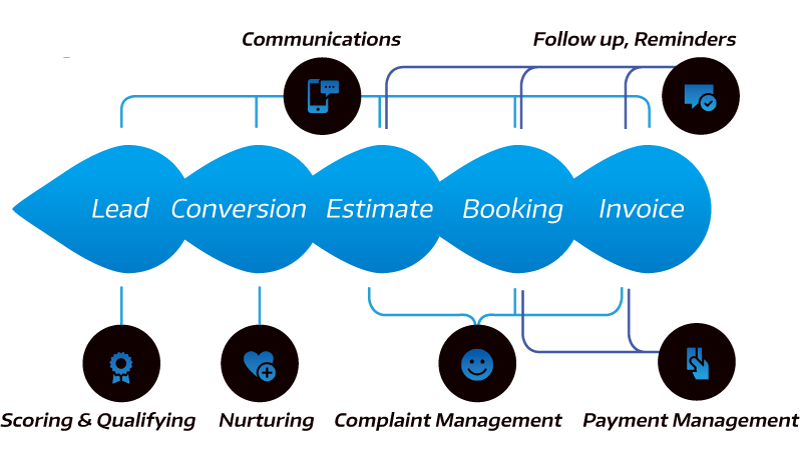 Finally sales order or invoice will get generated & status of enquiry will change to win & payment can be collected. 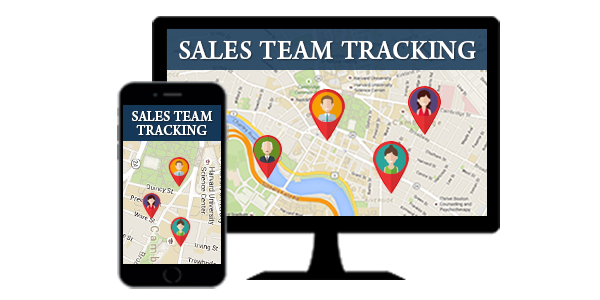 We have designed a mobile app where you can track your sales team whether they have visited customer or not.There location will be shown which path they are following.In this way team will work seriously & proficiently.